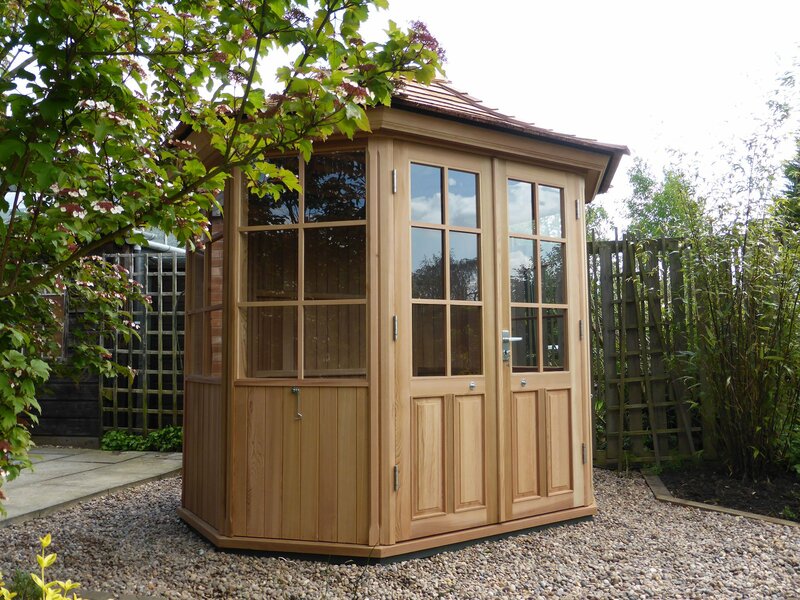 A stunning eight sided summerhouse with French doors & windows to four sides. Constructed with traditional shingle roof and clear toughened glass. Please fill in the form below to receive The Harington PDF with detailed specifications, blue print and price guide.